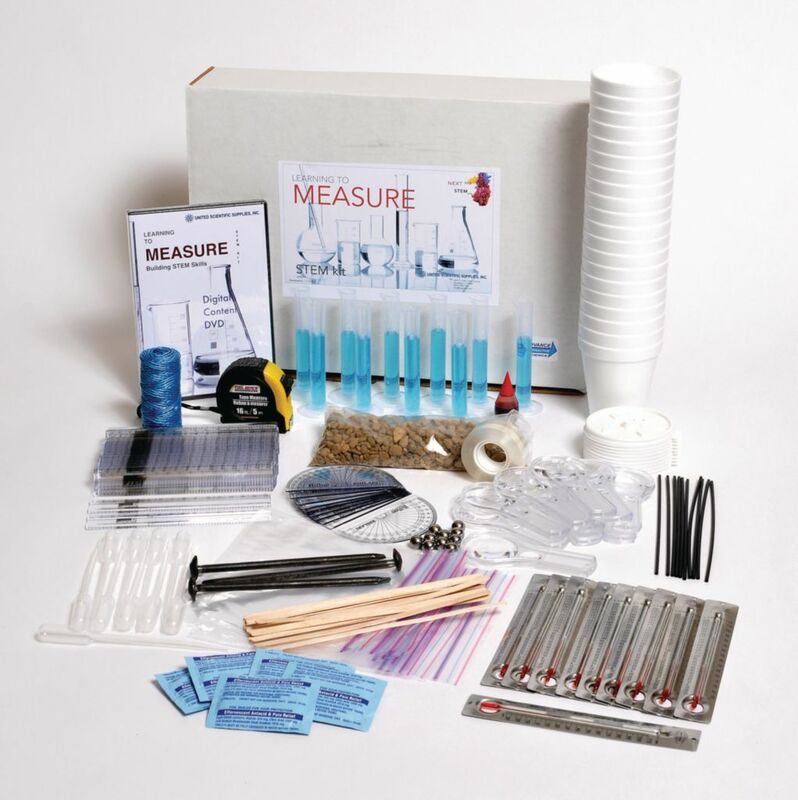 This STEM-based curriculum kit accents the scientific method and independent inquiry featuring hands-on learning materials and exciting interactive digital content that can be accessed on a computer, tablet, or mobile device. Kits contain structured, guided, and open investigations at introductory, intermediate, and advanced levels to make inquiry-based learning affordable and fun. Five classroom activities and five independent investigations are included for students to measure lengths and distances, volumes, masses, temperature, and time as well as conservation of mass.